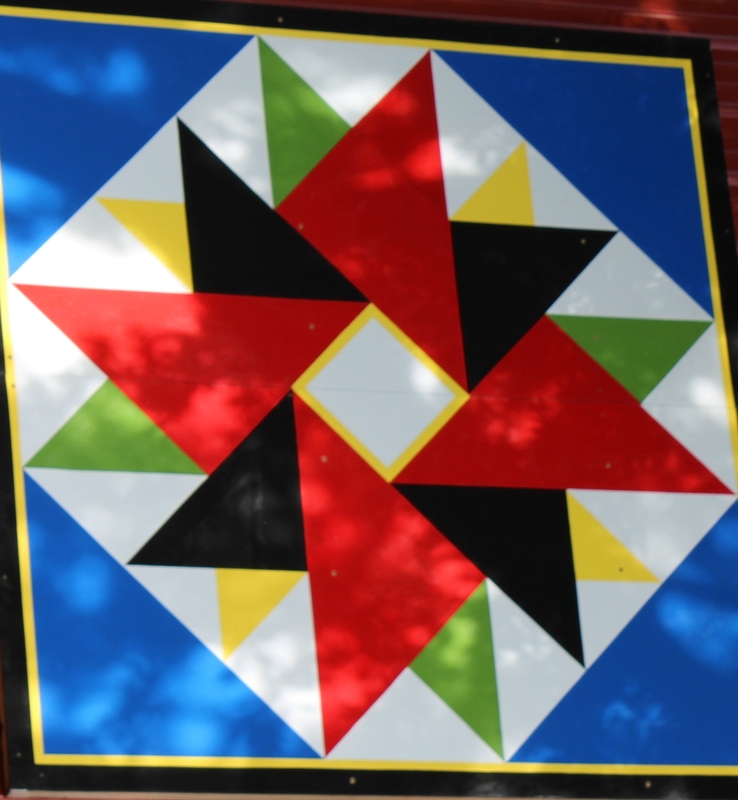 Are you interested in being on the Dunn County Barn Quilt Trail? Barn quilts are popping up across the country. You may have seen them hanging on barns, sheds, or granaries as you traveled throughout the southern and eastern sections of Wisconsin and wondered what they were. 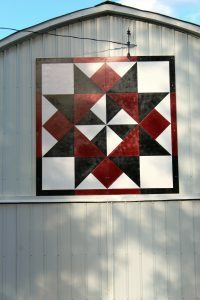 Most barn quilts are a quilt block painted onto an 8’ x 8’ piece of plywood and hung on a barn or shed. It is an artistic way of promoting agriculture and tourism. In Dunn County, we’re hoping to create a similar agri-tourism effort to celebrate our county and its rich agricultural history. How can you get involved in this exciting initiative? 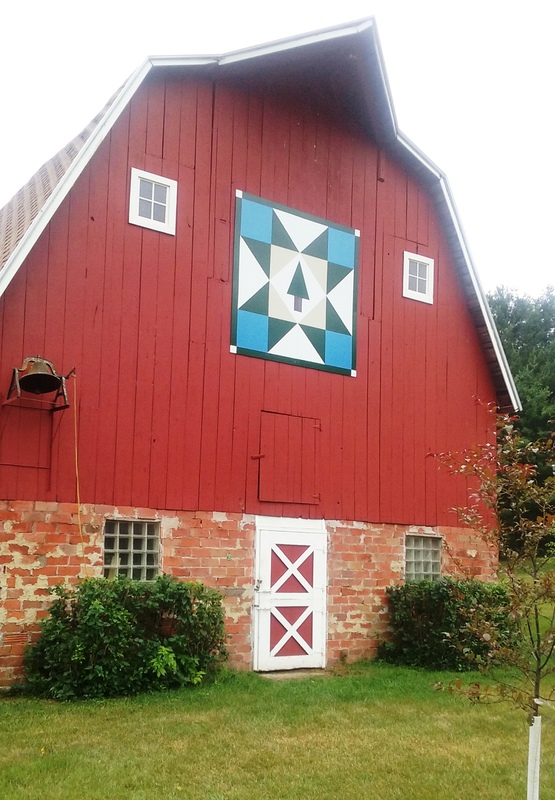 An application to request a barn quilt can be found below. 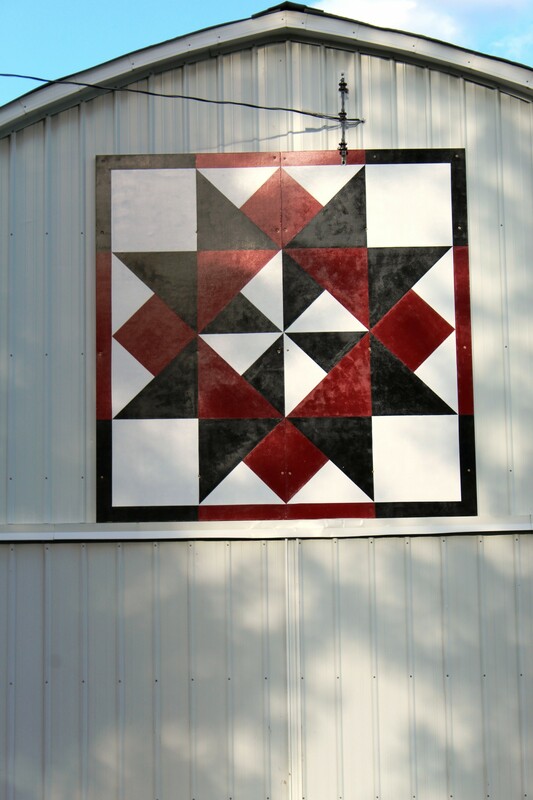 If you already have a barn quilt that you would like to have listed in the forthcoming Dunn County Barn Quilt Trail, please complete the application or contact a member of the Project Team. We ask that you complete and mail the three-page application to the UW-Extension office, 3001 US Hwy 12 East, Suite 102, Menomonie, WI 54751-3045. A member of the Project Team will contact you regarding your application, pattern selection and painting of the barn quilt. The Project Team is planning to paint barn quilts at various times of the year or will work with you on painting the barn quilt. We encourage local businesses to join in this project through a monetary sponsorship of a Barn Quilt or by donating supplies to the Project Team. The Dunn County Barn Quilt Project is a cooperative effort between UW-Extension Dunn County, the Menomonie Area Chamber of Commerce and Visitors Bureau. Our goal is to hang barn quilts throughout Dunn County and then create a “trail” to bring tourists to the area and business along the way. A brochure of the barn quilts, a description of the quilt block and a brief history of the farm will be highlighted in a “trail” map. We hope that tourists will not only enjoy the beauty of the quilt block but gain a greater appreciation for the rich history of each farm, agriculture and the surrounding area while traveling through Dunn County. For more information, please contact Katie Wantoch, Dunn County UW-Extension Agriculture Agent, at 715-232-1636 or via email at katie.wantoch@ces.uwex.edu or Mary Felton-Kolstad at 715-577-6678 or via email at mkolstad@charter.net. The Dunn County Barn Quilt Trail was featured in several newspapers. Pictures of Dunn County barn quilts have been provided by their owners or the Dunn County Barn quilt committee members (Katie Wantoch, Mary Kolstad and Janine Thull).